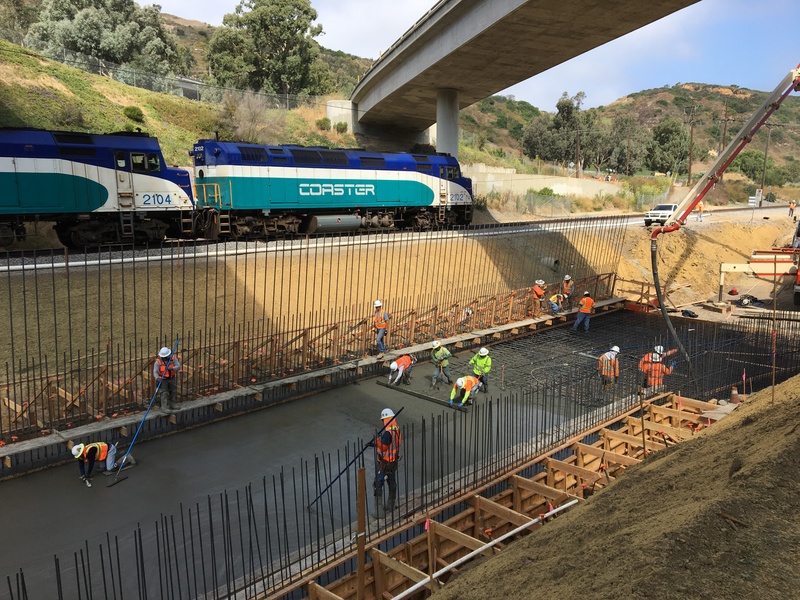 The Construction Manager/General Contractor (CM/GC) 1 projects including, Mid-Coast, Elvira to Morena Double Tracking (EMDT), and San Diego River Bridge (SDRDT), are moving into final design and construction phases. 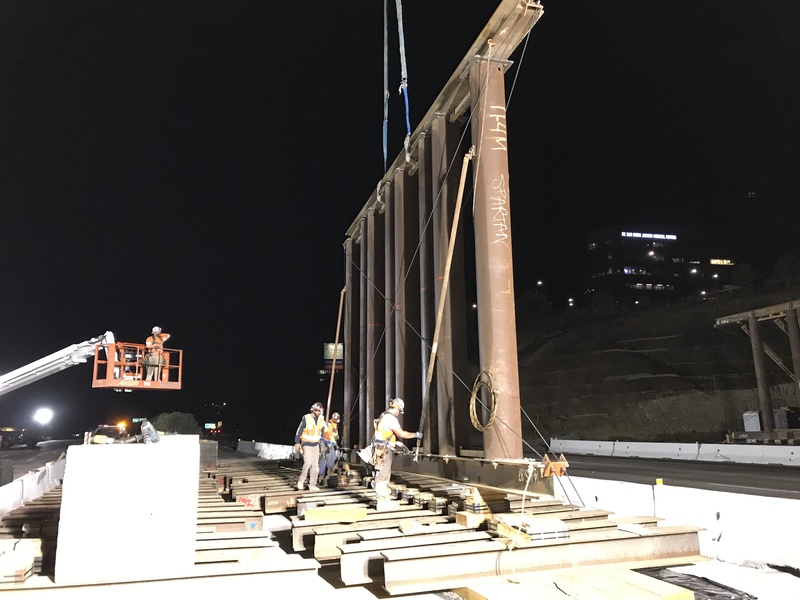 Overnight Closure of Interstate 5 Lanes: From 9:30 p.m. on Thursday, April 11, through 5 a.m. on Friday, April 12, temporary overnight closures will continue on Interstate 5 as crews pour concrete to build the bridge deck for the Trolley overpass at Voigt Drive. 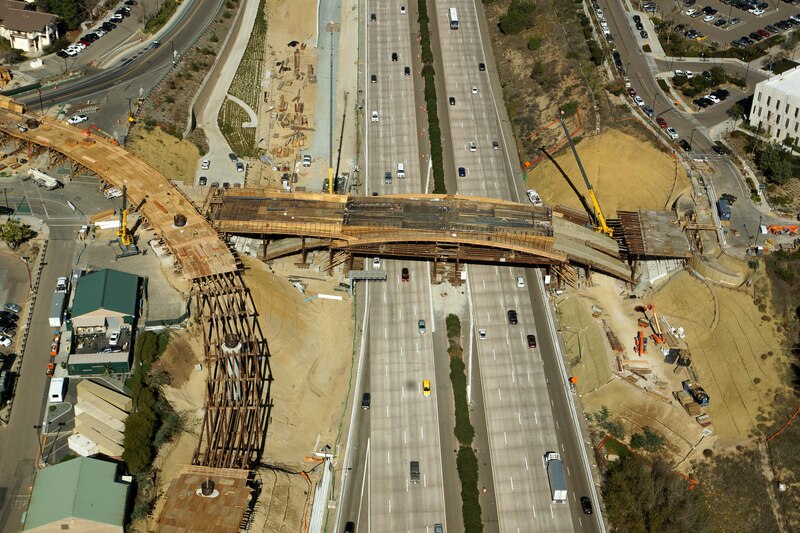 There will be a full closure of southbound lanes from the I-5/I-805 Interchange to La Jolla Village Drive. Two northbound lanes will be closed from La Jolla Village Drive to Genesee Avenue. Please take alternate routes to avoid potential congestion. View additional information. Santa Fe Street Parking Reductions: Within the next month, crews will begin the permanent removal of parking on the west side of Santa Fe Street, between Karl Strauss Brewing Company (5965 Santa Fe Street) and Coventry Cars of San Diego (5097 Santa Fe Street), in preparation for construction of the Rose Creek Bikeway. Portions of Santa Fe Street will be intermittently reduced to a single lane to accommodate construction. Access to businesses will be maintained. View additional information. 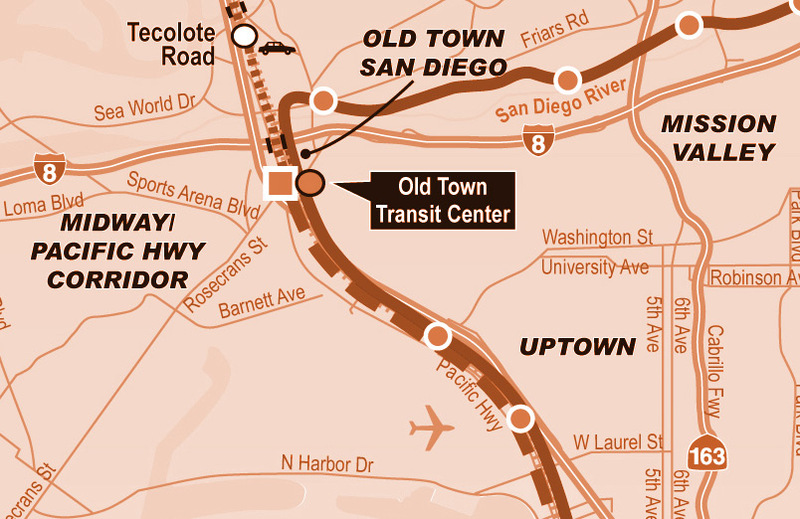 The project will extend Trolley service from the Santa Fe Depot in Downtown San Diego to the University City community, serving major activity centers such as Old Town, the University of California San Diego (UCSD), and Westfield UTC. This is a Federally Funded Project and we are requesting bids from DBE and SB Subcontractors. The overall DBE project goal is 11.3%. The goal provides an estimated $150 million in awards to DBE firms. MCTC is committed to maximizing the participation of local and disadvantaged firms to benefit the community while providing San Diego Association of Governments (SANDAG) the best value. Learn about how your company can join our team and find out about upcoming opportunities. Training for Mid-Coast Corridor Transit Project. Roadway Worker Protection (RWP) Training & MCTC Project Specific Training. Participation in NCTD RWP Training requires payment to be made directly to Bombardier Mass Transit and is due prior to the beginning of training – failure may result in employees being turned away and asked to reschedule for a future class. Specific details are provided via the link below as part of the registration process and can also be found on NCTDs website www.gonctd.com. Classes offered at the MCTC Executive Drive office. If you are ready to join the team and would like to register your company for future work on this project, please follow the link below to begin the registration process in MCTC's vendor database. Learn more about MCTC's Construction Bench Program and complete a questionnaire for consideration. 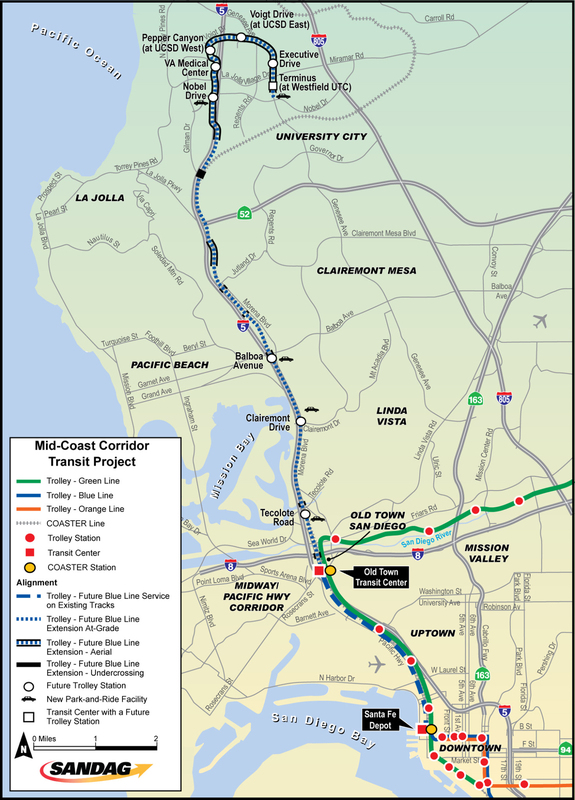 Mid-Coast Transit Constructors (MCTC) is a fully-integrated joint venture of Stacy and Witbeck, Herzog, and Skanska. We have combined these three highly successful construction organizations to bring a collection of talents uniquely suited for the CM/GC 1 projects. MCTC team members are heavy civil constructors specializing in CM/GC contracting for rail projects. We are experts at self-performing rail and bridge work proudly managed and built by our own forces. Over the past 10 years our firms have constructed more than 600 miles of track for passenger rail service. Together, our CM/GC experience includes more than 30 rail transit projects with a total value of over $4.7 billion. 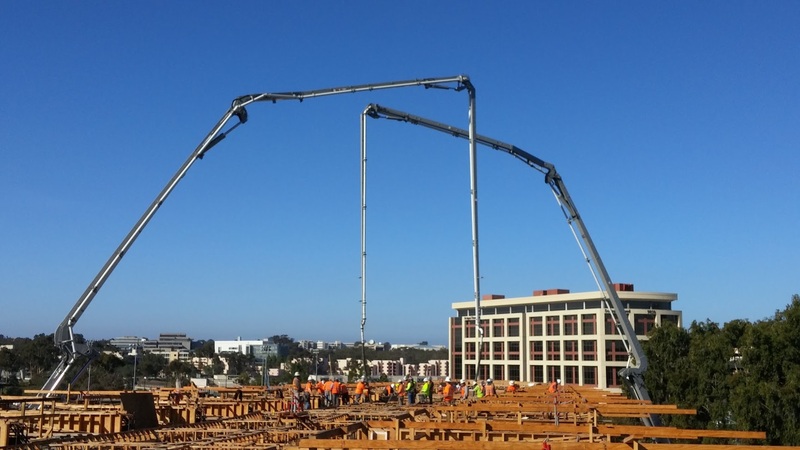 Signup for our newsletter to stay up to date with the latest construction locations, road closures, and to see the progress of the Mid-Coast Transit Corridor Project!